« What’s right about writing? Barbie, there is something really wonderful about this post. 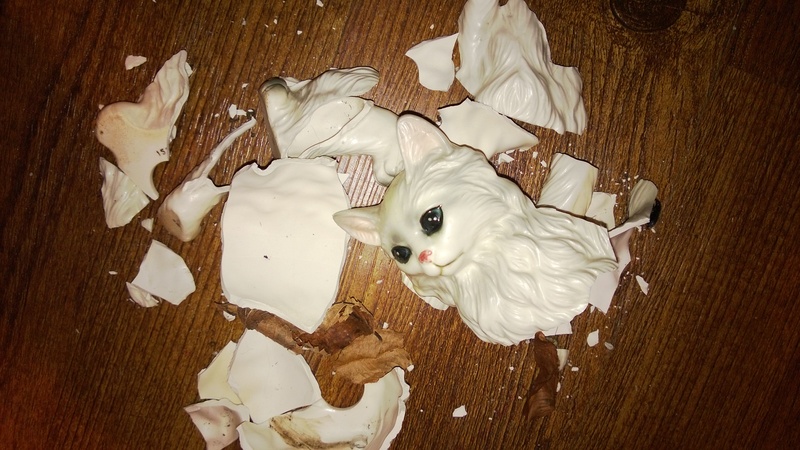 I am very sad about your cat (and I remember feeling a similar way about a wooden ornament my daddy bought me that had an unfortunate accident – it isn’t as broken as your kitty but I still have it), but your part about “I would never say that to an actual three year old in pain” is really interesting. Perhaps it is a good thing to stop and ask ourselves often before we speak hard words. We want to be truthful, but we don’t need to be hurtful, and asking ourselves how we might speak to a child is a really interesting way to approach it! When my wooden ornament broke, my husband instructed me to throw it out. I love my husband, of course, but that hurt. The ornament represented more than that to me, and it was complicated. Perhaps if he had stopped first and asked himself why I reacted like a child, and his words had recognised the child in me, he would have said something completely different. I am sure you will find the right thing to do with your cat. Hugs. Thank you, Liz, for your kind words and for sharing your own stories. I was feeling pretty lonely in my grief this morning, but not any more. OMG! Poor kitty, poor Barbie! I am so there with you and glad that you are honoring the imperfect kitty by having her on a shelf. She looks beautiful. And I am reminded — When I took my mom’s old Singer sewing machine for tune-up, repair last fall, I was told that the motor was shot! She had given it to me when she purchased a new fancy one… It continued to run for what seemed like forever and now it was no more. I cried, sobbed, remembering all the dresses she had sewn, all the costumes, curtains, even a prom dress, on that machine. And all the costumes I had sewn for my son, the house dresses for my grandmother, pillow covers, curtains, mending. it was all too much! I still have that sewing machine in its cabinet in the guest room. My son suggested eBay for a new motor… good idea. If it doesn’t work, I’ll still keep it. In my world of reduced clutter and major purges, even some “broken” imperfect things need to be saved. Cate, you reminded me that I have my mom’s sewing machine packed away. I made my wedding dress on that thing! I suppose it’s ” working” if it’s stirring up all those memories. What a poignant story! Barbie, you have such a gift for telling these stories. 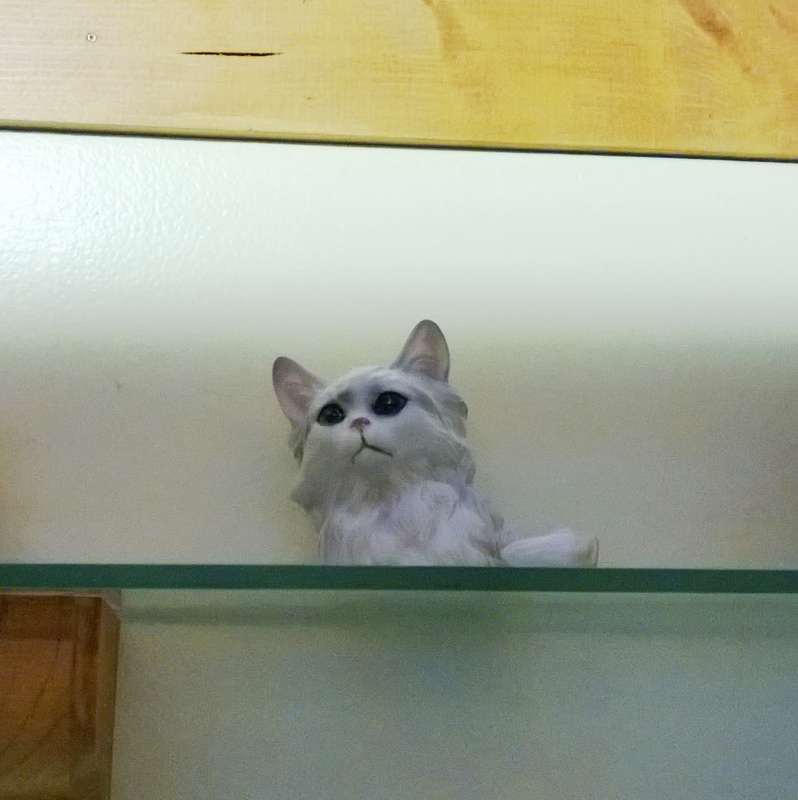 I love the fact that part of White Kitty is still perched on a shelf in the cottage. And that you ‘re honoring her, along with yourself. Thanks, Christina. I really like your perspective that as we love our own inner child, we are more open to the children in our lives. Probably more accepting of the child side of our adult friends, too, huh? Hey I am so excited I found your wpbgaee, I really found you by error, while I was searching on Askjeeve for something else, Anyhow I am here now and would just like to say thank you for a marvelous post and a all round thrilling blog (I also love the theme/design), I done28099t have time to go through it all at the moment but I have bookmarked it and also added in your RSS feeds, so when I have time I will be back to read a great deal more, Please do keep up the awesome work.